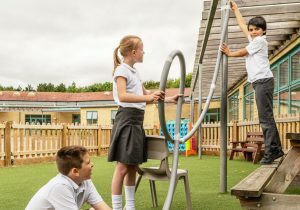 We’re supporting this awesome campaign called Kids Against Plastic to help tackle the huge problem of plastic waste. Download this FREE activity pack and learn how to be kids against plastic! 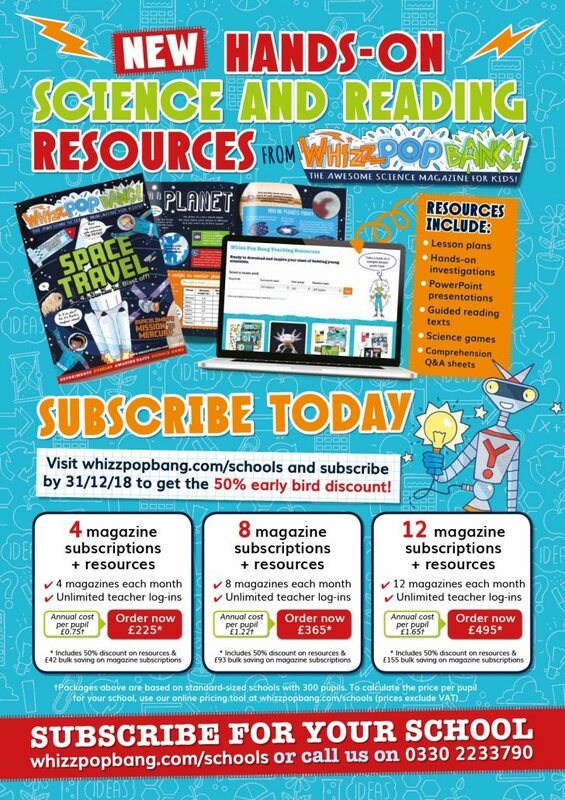 As part of the Great Science Share, we put together this interactive activity pack for teachers to use in class to show kids what we can all do to reduce the amount of plastic we use. 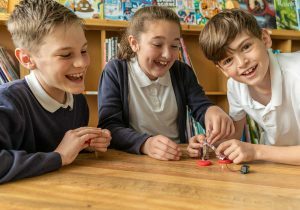 Whether you’re a teacher, a Brownie or Scout leader, grandparent or parent, the Kids Against Plastic campaign is for everyone to learn how to help in the fight against our reliance on plastic. 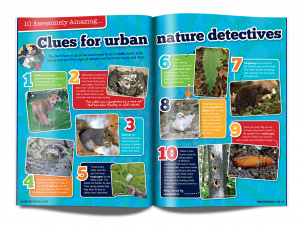 Click on the image below, download the pack and watch Ella and Amy tell you more… and don’t forget to join in with their mission to collect 100,000 pieces of plastic! 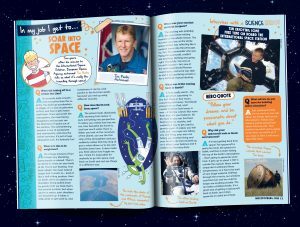 The Great Science Share is a national campaign to engage young people in sharing science with new audiences. 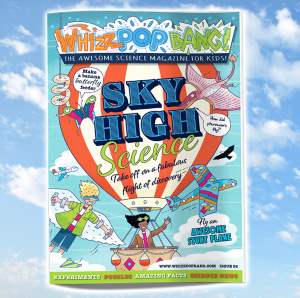 Whizz Pop Bang January issue SNOWBALL SCIENCE! 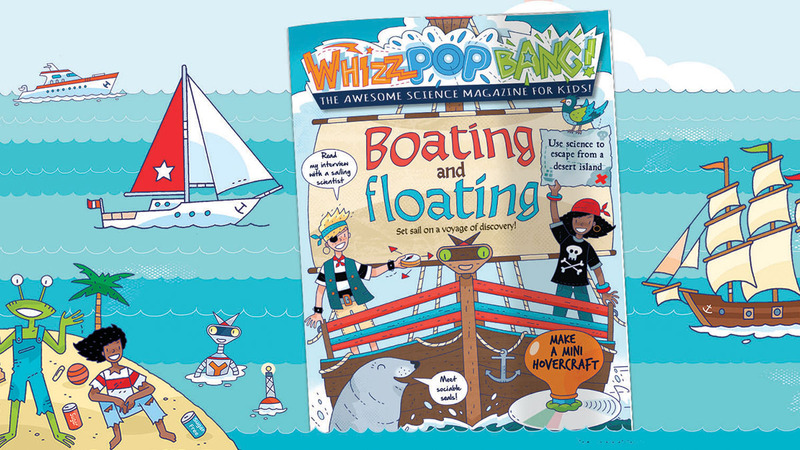 Posted on 10th January 2017 | by Rachael Tapping | Leave a Comment on Whizz Pop Bang January issue SNOWBALL SCIENCE! Happy New Year Whizz Pop Bang readers! Oh how we love January with wet hats, missing gloves and runny noses. Whether it’s snowing outside or not, snow time like the present to start investigating the winter wonderland! 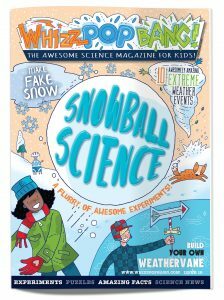 With science magazine Whizz Pop Bang your kids can simulate a snowball flight, investigate the colour of snow, make their own snow globe, make a barometer, a weathervane and a rain gauge – a storm of science fun! As well as lots of COOL experiments we look at how a freezer works, tell the story of the snowflake and interview a Penguin Aquarist to find out what it’s like working with those adorable creatures. 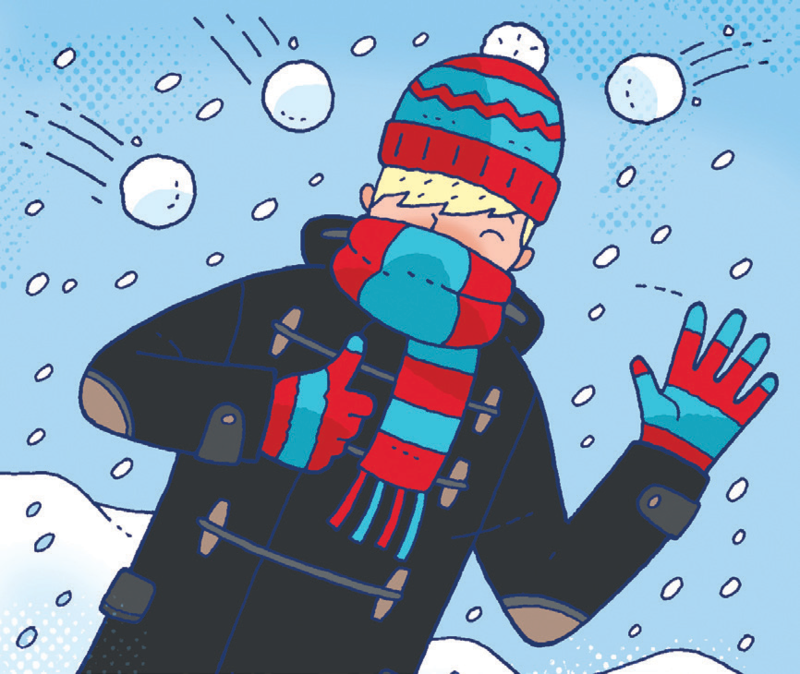 Kids can marvel at 10 Awesomely Amazing Extreme Weather Events, and learn about polar bears (did you know their fur isn’t actually white?) We also tell the fascinating story of the genius Albert Einstein.